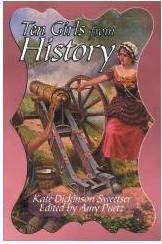 We got the chance to review this book about .....Ten Girls from History, written by Kate Dickinson Sweetser and edited by Amy Puetz. There is something to be said for truth in advertising, isn't there? I am always looking for ways to inspire my girls to be greater than many of the role models that seem available to them today. Something that you can't seem to find from T.V. shows on The Learning Channel (TLC), like Toddlers and Tiaras or Say Yes To the Dress....or even most children's shows on Nick, Disney and, certainly none can be found on ABC Family (don't get me started on that one). That is why this book, in theory, was perfect for them...and me. It could give them ideas and a sense of "I can do a lot with my life!" A lot more than pick out a ridiculously expensive wedding dress.......or dress up little kids in very grown up clothes, with lots of make-up and parade them around.....or learn different ways to lie to and smart mouth your parents. The book is recommended for ages 10 and up. Perfect! L-girl is 10 and A-girl is 12....and I am "up". It is published by Golden Prairie Press. The stories were inspiring and made you think about whether you would have that much fortitude or courage in some of the same situations. But, the thing that wasn't so great, for us, was the writing style. We all found it really hard to read. I don't even know how to describe it, other than it seemed really formal and many times, separated from the story. It could be that is was written in the early 1900's. Here is a statement about the book, from the author, Kate Dickinson Sweetser from 1917.
publication at this time of the testing of all true Americans." History is more thrilling than fiction. Inspire them to like deeds of patriotism and courage. That is inspiring in and of itself. So.....yes, we read the stories and yes, by the time we waded through them, they were interesting and inspiring....just like I had hoped. But, it was a long process getting there. I had L-girl and A-girl just randomly pick a story that sounded good to them to start with, rather than just read through the book sequentially. Then, I asked them to write a summary style page about it. L-Girl picked Cofachiqui, an Indian Princess that was initially fooled by the explorer Hernandez De Soto, but ended up getting the last laugh. A-girl initially picked Louisa May Alcott since we had recently watched Little Women. However, she ended up switching her selection to Clara Morris: The Girl Who One Fame As An Actress - because she found the story on Louisa May Alcott too confusing and hard to follow. I chastised her a bit, because she has not turned into the voracious reader that I had been at her age and just assumed she would also be. I will admit it. I thought she was just being lazy. So, I sat down to read it and prove her wrong. I saw her point. It was sort of hard to read. Some of the problem was vocabulary.....in the first page or two they threw out words like treatise and flourish...but not even in the way I was used to hearing them used. There is a glossary at the end of the book that gives definitions for some of the words (which were in boldface in the stories), many taken from Websters Dictionary in 1828. But, in an e-book format, it was hard to get to the right page that you needed to look them up....and then get back to the page you had been reading. And, honestly, we would have had to look up a lot more words than they had put in boldface. I switched over to her new choice, Clara Morris. It was a little easier to read, but still felt very formal and used a lot of vocabulary words that I am fairly certain A-girl just breezed past.....whether she understood the words or not. But it comes down to this, these stories are great, inspiring stories. Look at who the ten girls are! Great stuff. It really is. But, some of them are a harder read than others. Think of it this way, if they do get through them, and take the time to look up words they don't understand, they will come away with a fabulous vocabulary and understanding of words. We received a PDF version of this book. I think we would have done a lot better with an actual physical copy to go cuddle up together and read these stories....outloud...with a dictionary handy for the hard words....and be able to flip back to the glossary when words like, "accoutrements" were used. See? Do you know what that means? Would you if you were a 12 year old girl? FYI - It means: Dress; equipage; furniture for the body; appropriately, military dress and arms. Equipage for military service. The stories are really inspiring and I learned a lot of little details that I didn't know about some of these girls. And, if I am honest, I hadn't heard of most of them before....so I did learn something. My girls did too. It just wasn't the easy, breezy book I somehow thought it was going to be, since it was for ages 10 and up. 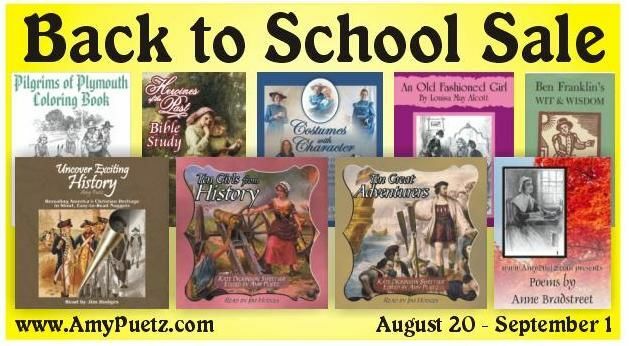 But, Amy Puetz (the editor) is having a Back To School sale (20% off) until September first, so, go take a look around. I hope I haven't scared you off. This is really a good book....just not an easy read for some kids (or grown ups). There are other titles available in the Heroines of the Past series that look really interesting through Golden Prairie Press. The Review Crew got to choose from four different e-books for this review. The other three were; Heroines of the Past Bible Study; Costumes With Character; and, Uncovering Exciting History. Take a look and see if my opinion matched up with others on the Review Crew. Disclaimer: We received a PDF version of the book Ten Girls From History for free, in exchange for an honest review. Are you ever embarrassed by your reading selections? I am not talking about the old bosum heaving in Fabio's arms kind of romance novel. I am talking about one your children's books. Not a secret pleasure in reading I'll Love You Forever....but one of your older kid's books. I have also thoroughly enjoyed the Harry Potter books, but, regardless of their marketing, I stand firm in my conviction that they are not children's books. I just let D-man read this in the last year....and only after he had read, This Present Darkness by Frank Peretti. But, I just had the opportunity to review a book that wasn't really intended for me and I am sort of embarrassed by how much I liked it. It was one of those ones where even if I had the chance to stop reading after a chapter, I would usually read just one more....just to see what happens. It is published by Christian Liberty Press and it is called Mr. Pipes and the British Hymn Makers. It is a fictional novel that uses a small town church organist (Mr. Pipes....get it?) to teach about how some of the most famous hymns came to be and who the people were that wrote them. No offense to author, Douglas Bond, but, it doesn't really sound like it would be a great book, does it? However, (and this is where the slightly embarrassing part comes in), it was really interesting and ended up being one of those books that I knew I was learning something, but it had me so relaxed and caught up in the characters that I didn't care. You know how sometimes you are in the mood for mindless reading? Well, this certainly wasn't mindless reading, but it left me with that same sense of relaxation as those types of books usually do. It sort of reminded me of the Mitford series. Nothing really scandalous happens. Just every day people living their everyday, hum drum lives. But, still fascinating and relaxing somehow. It is intended for grades 7 through 10. Or, in my case, a mom in her 40's. The author, Douglas Bond, did a really good job of weaving the hymn makers lives into the story of an old church organist teaching some visiting children about the history of hymns that many of us have been singing for years. Each of the twelve chapters focuses on one hymn writer or a group of hymn writers (like the Scots). Although it is a 298 page book....which may scare off some young readers....it didn't drag for me. I am having L-girl, A-girl and D-man read this as part of music history/reading exercise. The only down side for us, is that we don't have an e-reader and are having to read it from a PDF file on our computer screen. Not ideal....but doable. Actually, I probably should be doing this book as a read aloud and include my littler ones too. Anyway......the book has charming illustrations (by Ron Ferris) too. To me, it feels like a book from a bygone era....one that your grandma would have sitting on her shelves that you don't really want to read....but when there is nothing better to do at her house....you give it a shot....and end up liking it. This book also pointed out something to me. More on this after I give you a little history. I grew up attending a very traditional Methodist church. Through the years, I have tried out other styles of worship and even various denominations.....but, I am a Methodist. My kids have attended a lot of contemporary worship services with me. Some in denominations other than Methodist...but mostly Methodist. We currently attend a contemporary worship service at a Methodist church. I am actually one of the singers in the praise band. So, what did this book point out to me? It meant that when I read the book, I knew instantly which hymn they were talking about as soon as I read the lyrics. I could sing along in my head with the songs as their origins were revealed. My kids didn't have that instant recognition....because they are used to singing mostly praise and worship songs....not hymns. It made me sort of sad. Not sad enough to start attending a traditional service every Sunday....but, maybe more often than we do now. I have certain songs embedded in my head with events from my past....obviously, there are "funeral" songs in my head....but there are other happier memories from church events and Christmas programs that all have the background music of traditional hymns. My kids will not have that same background music playing inside their heads. I am not sure how I feel about that. I think maybe they will be missing out on some beautiful music and lyrics. Anyway, embarrassing or not, I loved this book. The kids are working through it, like I said as a combination music history/reading.....and their younger siblings may be hearing this book soon too. Christian Liberty Press has a lot of other stuff available on their site, if you want to go take a look around. Mr. Pipes and the British Hymn Makers is available as a PDF download for $8.79. or get the real thing in your hands for $9.89. You know me, I would have preferred the "real" book in my hands. Douglas Bond has written two other books in the Mr. Pipes series that I may have to check out. See what other members of the Review Crew thought of Mr. Pipes. Disclaimer: I received a free PDF copy of Mr. Pipes and the British Hymn Makers in exchange for an honest review. We have a new book to review at our house called, I Don't Have Enough Faith....To Be An Atheist. And, at our church youth group meetings, they have been playing a game where you have to pick a side in a debate and defend your position. They questions would be something like - If you are a Christian and are following God faithfully, will anything bad ever happen to you? Are you who you hang out with? So, do you think God wants my family to be able to defend our faith or be able to truly explain to people why we are Christians and why we do the things we do? 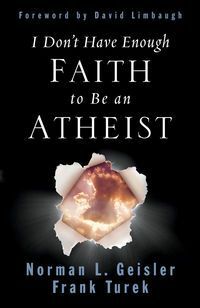 I Don't Have Enough Faith To Be An Atheist was a best selling book back in 2004. Since then, the authors, Norman L. Geisler and Frank Turek have created a companion curriculum to be used side by side with the book. It is published by Apologia. They may sound familiar because I have reviewed a few of their other offerings, here and here. One thing that all the Apologia books have in common is they really make me think. This book was the same, because working through it, I found so many little tidbits of ideas that really made me think. In America, truth in religion is considered an oxymoron. There is no truth in religion, we are told. It's all a matter of taste or opinion. You like chocolate, I like vanilla. You like Christianity, I like Islam. If Buddhism works for you, then it's true for you. Besides, you ought not judge me for my beliefs! The book lays out the evidence for Christianity and that if something is true....then, anything other than that is....false....or wrong. Crazy talk these days, huh? 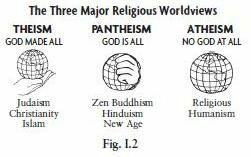 The book first sorts out some common terminology for the three major religious worldviews. The book then moves onto a 12 point progression in presenting facts supporting Christianity. Right after this segment, there was a statement made by the authors that was painful for me. It made me uncomfortable. But, it was the truth. "Christians are commanded to know what they believe and why they believe it. They are commanded to give answers to those who ask (I Peter 3:15), and to demolish arguments against the Christian faith (2 Corinthinians 10:4-5)." I know. No pressure or anything, right? I sort of like to float along in my little safe bubble of Christianity and being a nice person and leave it at that. But, I am not commanded to float along in my little happy bubble. Matthew 22:37 - "Love the Lord your God with all your heart and with all your soul and with all your mind." So, I guess this means I am supposed to know this stuff too and not just have my kids do it as part of our homeschooling curriculum, huh? One of the things I like about this book is the use of real life stories to make it more relatable. Or, just real life scenarios that make the point hit home. One example was at the beginning of the book when they were talking about being open-minded versus empty-minded. And that some questions are, "closed". Like, George Washington being the first president of the United States. Is that something I should remain open-minded about? No, that would be empty-minded. There is evidence to back up the fact that George Washington was, in fact, the first president of the United States. That question is closed. Get it? Truth is absolute. 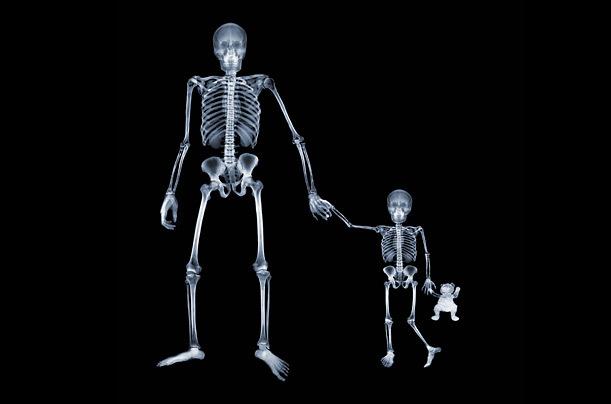 It is not relative. If something is true, it is true at all times and all places. Truth is something that is discovered. It is not invented. Like the book said, gravity existed way before Isaac Newton figured it out. So, can all religions be true? In talking about "western" logic versus "eastern" logic, they make a point that many people use this argument in talking about Christianity and might say something like, "in the East, we use 'both-and' logic.....which means salvation is not either through Christ or nothing else, but both"....but again, what is true.....is true, no matter where you are. If you are standing in the middle of a road and a bus is coming....it doesn't matter if you are in the eastern or western hemisphere....you had better get out of the way....because, it is either you or the bus....not both. It was those kinds of little, I suppose, seemingly insignificant, sentences or stories that made the most impact on me. It was also pretty fun just reading the chapter titles. Like, Mother Teresa vs. Hitler; The Top Ten Reasons We Know the New Testament Writers Told the Truth; or my favorite.....New Life Forms: From the Goo to You via the Zoo? Okay, so I mentioned earlier that this book now has a corresponding curriculum that we have been using. It is designed for high school students, so D-man is the only one actually trying the curriculum. It is designed to complete a chapter and the workbook lesson every 2 to 3 weeks....which should take up most of our year. 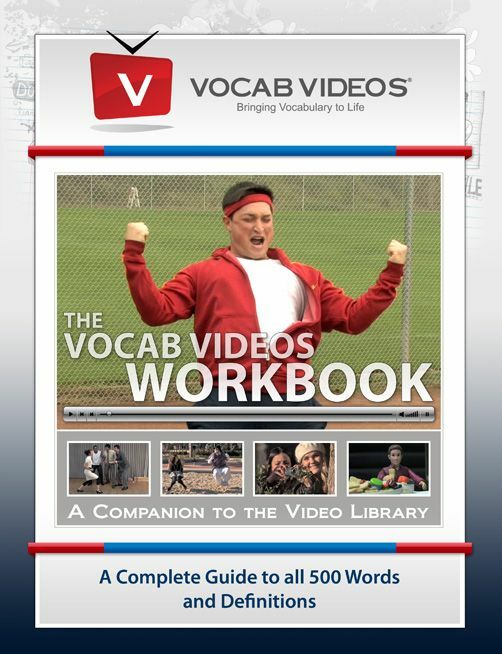 Here is the cover of the workbook. Cutting off your own blindfold. I found the questions really made D-man think and examine what he really believed or felt about certain things. However, that did not come easily to him. I used the workbook to assign him the weeks tasks...both for reading in the textbook and then what workbook pages he needed to do. Then we would sit down together and discuss his answers....sometimes I had to show him ways he could be more honest and open in his answers....rather than just give the "religious....this is probably what she wants to hear" kind of answer. I don't think he had ever been asked these kinds of questions before or thought about it in a "defend what I truly believe is true" kind of way. Actually, it was probably good for both of us. I am reading along in the book with him, but if you wanted to teach this without reading the book, the answers to the workbook questions are available on-line through Apologia website. You do have the purchase the workbook to gain access to this page via a password that is included with your book. There are also tests that go along with the curriculum that are also available on this password protected portion of the site. The workbook questions are a mix of definitions and "What do you think?" kinds of questions....which makes what you take away from these lessons very personal. If nothing else, it will make you think. There are also some mini-biographies mixed in with the questions on people like: C.S. Lewis; Carol Sagan; Friedrich Nietzsche; Stephen J. Gould; the DNA guys (Francis Crick and James Watson; and, even Charles Darwin. We aren't done with the book yet. It takes some time to delve through the facts that are presented and then examine your own thoughts and feelings on what those facts....or truths....really mean. You can order the book and the workbook through Apologia. 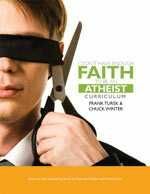 I Don't Have Enough Faith To Be An Atheist is available for $16.00 and the workbook/curriculum is available for $33.00. See what the other TOS reviewers thought about I Don't Have Enough Faith To Be An Atheist. Disclaimer: I received a copy of both the book and the curriculum for I Don't Have Enough Faith To Be An Atheist for free, in exchange for an honest review. Okay, there really isn't any such thing. But there is a spellingcity.com. Does that count? We received a year long subscription to Vocabulary Spelling City that I can use for all of the 5 kids who are school aged. This site contains list after list after list of words that you can use for your kids. Lists to use to grow both their vocabulary and their spelling skills. First you pick a list (from other's created by teachers/parents) or you create your own. Then you assign different games or tasks to individual children. Alphabetical Order, Unscramble, Parts of Speech, HangMouse, Crossword Puzzle, WordSearch, and Vocabulary Test. I will say that, at first, I didn't really like this program. I sort of threw it out there to the kids as something for them to try, so I could actually use the thing I was supposed to be reviewing. Then, things got really annoying. The kids fell in love. Well, maybe "love" is too strong of a word. But, what would you think when one of your children had finished the assignments you had given and then proceeded to nag you into assigning some more for them? Or, what if, even after you assigned more, that child zipped through those 8 assignments and when you said you didn't have time to assign more and it was okay if they didn't do anymore this week....proceeded to ask if it would be okay if they went in (with my login information) and found some lists and assigned themselves some work? I mean, yes, we are weird homeschoolers.....but we have never been that kind of weird homeschooler! And that is what happened. I did end up letting L-girl log in as me and find some stuff for her and A-girl to do because they had both finished everything had assigned them....before its due date! So, now, I go in and assign things to the kids more frequently. I will shamefacedly admit that it really isn't hard. I really don't know what my problem was in the beginning. I really must have just been in a bad mood that first day when I went to look at the site and decided to be whiny! I love it too. I do. Seriously, the kids are always announcing that they need the computer to do their spelling homework....and then that is what they really go on-line and do! This program also does the grading for me. I can log into my account and see exactly who has done their work, and exactly who hasn't (D-man, I am talking to you!) and how they did on the tests and things. There are lots of ways to search for lists. Here are a few examples....but it will be best if, on a day when you aren't whiny or in a bad mood....you just go look around. You can search for lists by your local school....so if you want to try to make sure that your kids are at least keeping up with their public school peers....you can see what words they are doing. That said, obviously, not every school in the world has registered and created lists on Vocabulary Spelling City! You can also pick from lists that are State capitals, or science and math related words.....or, what I am planning to do with D-man and A-girl is create a list using their Latin/Greek root words cards. Those are some hard words! You could even search out lists that are being used in other countries. I searched and found lists that were being used at a bilingual school in Kobe, Japan. And, even lists for armed services throughout the world. There are lists all the way up through 12th grade, but there aren't a lot of lists to choose from, and, honestly, I didn't think the words were that hard. But, I could go in and create my own lists of harder words if I wanted to. Most of the lists I have used are from specific books. Like for S-girl, I assigned her work from Good Night Moon, but I used Little Women for L-Girl and Percy Jackson for A-man. My kids have really liked the word searches and HangMouse (Hangman...but with cheese and a mouse instead of a stick person hanging themselves). The one thing we didn't try with our Premium Membership was creating our own flash cards and the Language Arts Lessons. We already cover lots of this stuff in our normal curriculum....but when we get to these sections, I have already written myself a note to incorporate some of Vocabulary Spelling City in their week. Again, my initial dislike was totally misplaced. I think, other than the fact that I was cranky, we also only have one computer for the 8 of us to share....so, while I would like to take time to peruse the lists and take my time creating or finding just the right list....I am usually rushed out of my chair by someone else who needs the computer. I have figured out that it is okay if I don't personally check and approve every single spelling word on their list. It will still be okay. It is also okay if the lists end up being too easy for them once in a while. It will be okay. So, do we like Vocabulary Spelling City? The less whiny I get, the more I am using this in our school days. I have actually created a special area on my lesson plan to write in Spelling City! I had to redesign my form and everything! Which means, when my free membership runs out, I will be renewing it for the family. It really is a good deal for a spelling curriculum for 5 kids for a full year. You can subscribe and get a Premium Membership to Vocabulary Spelling City for up to 5 students for 12 months for $29.99. Here is information about what a Premium Membership can do. There is a Basic Membership that allows you to share lists and do a few of the spelling activities, but not the vocabulary tests or work with antonyms, synonyms or make your own flashcards. The Basic Membership is free. Try it out. I am sure you won't be a whiner like me! Go see what others on the TOS Review Crew thought of Vocabulary Spelling City. Disclaimer: We received a year long subscription to Vocabulary Spelling City for free in exchange for an honest review. We started school on Monday. To those of you up north, or from another country, this may seem strange. Our local public school started classes on August 6th! We let the kids have one more week and started on the 13th. As much as the kids hate to admit it, our whole family does a lot better when we have structure to our day.....like we do when there is school. Everything is smoother. Less fighting. Less mischief. The house is cleaner because I actually assign chores instead of waiting for someone to notice the pile of garbage that they have been stepping over for days! We adjusted quite a bit of our schooling for this year. We moved school to the basement, so everyone can be together. In past years, especially in our current house, we have been spread all over the house because there wasn't room for us. Everyone has their own work station/desk....even me. All of our books, supplies, reference materials, and art stuff is all downstairs with us. Everything we need is in one place. We have switched to harder courses for D-man and A-girl....which means school will take longer than last year. So far, our first 3 days have gone really well. Monday was hard though. The kids aren't used to going to bed early....so nobody fell asleep when they were supposed to Sunday night. D-man even asked if he could have some of my coffee on Monday because he was having a hard time staying awake! They were all sort of little zombies on Monday. And, school took forever to be done. S-girl started Kindergarten this year. She has been wanting to be in school forever. She was so happy to be a student. She worked so diligently on her writing. I thought this was really cute. This is a page from her math book. She was counting to 5. So, she said, "One airplane. Two trains. Three limos. Four bicycles. Five skates." I hope she marries well. This one was sooooooo very excited for school and she still has 2 years before she officially starts. She really had this sort of crazy look all day long! She is one of the things I am "fine tuning" this week in my school plans. I am going to need an actual plan to keep her busy while the rest of us our doing school....not just the usual coloring pages and Sesame Street. I just realized that I haven't shown you completed after pictures of the basement....so I will try to get that done sometime soon too. It really is quite a transformation. I am trying to lighten up my house, including the kitchen, which has really nice, granite countertops....but, they are black and the cabinets are a dark, cherry stain. So, I removed some of the doors and wanted to put something pretty and bright in the back. I got a partial roll of wrapping paper from the Habitat for Humanity Restore site for $.25. I carefully measured my space....measured again.....marked up my cardboard....measured once more....cut the cardboard......carefully placed the cardboard....it wasn't perfect....but it was pretty good. The shelves were too tight. This quick, easy, DIY project took me over 4 hours to complete. I was pretty crabby by the time I was done....and sore from climbing up and down the ladder. Really, my new lighter, brighter, fun colors do NOT go with the earth tone backsplash at all....but I have decided I don't care about that right now either! Oh, here is one more tidbit of a project. My new colors are a pale yellow, a citrus-y green and aqua.....my living room is yellow, the dining room is the citrus-y green and I was thinking my bathroom would be the aqua. It is a really little bathroom right next to the front door. It is a very good thing we don't get much company, because if we did they would get lots of views of little hineys going potty with the door open! Anyway, it is little and dark....just like lots of parts of my house. So, my thought was that I would brighten it up with a fun color. 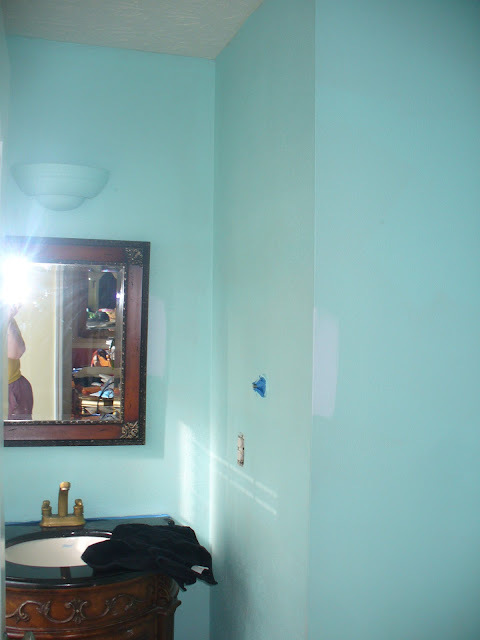 Before....just a blah, tan, bathroom. It sort of glows in the dark. It really does. The kids all love it. I just think that it is just too much. It is really bright and sort of claustrophobia inducing at the same time. But, the kids really love it.....so before I totally paint over it, I am going to try a white wash technique to tone it down a bit. We will see what happens. But, again, you can see how fancy this house is based on the mirror and the sink stand....so not me....I am really NOT a fancy schmancy person. So, those are my updates for now. I will show you what my school portion of the basement turned out like once I get my students in there! Have you ever seen the quintessential homeschooler T-shirt? The one that lists all the famous/successful people that have been homeschooled? So, what would the definition of a Thomas Jefferson Education be? Well, very simply put (there are a lot more details on the tjed.org site), it is the philosophy that every person has inner genius. And, a Thomas Jefferson Education consists of helping each student discover, develop and polish their genius. If this concept interests you, there is a book available, that explains this concept in greater detail. A Thomas Jefferson Education is available for $15.95. The author of this book, Oliver Demille, is of the mindset that the "Love Affair" method is the one that leads to greatness. It is hard to argue with that logic....if you look at the people throughout history that have had this approach to their own education. I had never really heard of Thomas Jefferson Education before I got the chance to review one of their subscription products put together by Oliver Demille's wife, Rachel, called This Week In History. This Week In History is something that comes to my e-mail box weekly with....you guessed it..... things that happened This Week In History....for each day of the week. Let me give you some examples of what scholarly things are included in their e-mails. 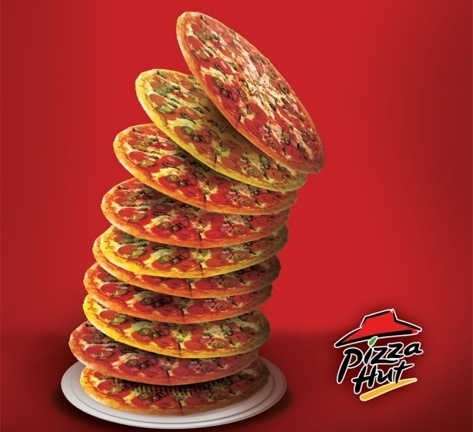 The leaning tower of pizza! Ha! They were just kidding....it was actually about the construction of the campanile of the cathedral of Pisa that began back in 1173. They go on to help you understand the words campanile and cathedral....then there are lots of facts about the Leaning Tower of Pisa. Then it gives you ideas on constructing your own campanile or finding ones near your home. Then it goes on to talk about important people who had been born or died this week in history as well. Telling you why they or what they accomplished was important. 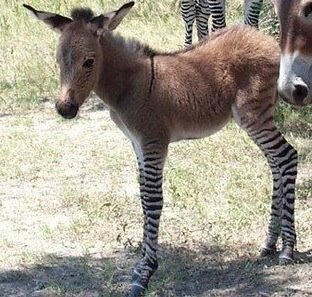 Did you know there was such a thing as a zedonk? 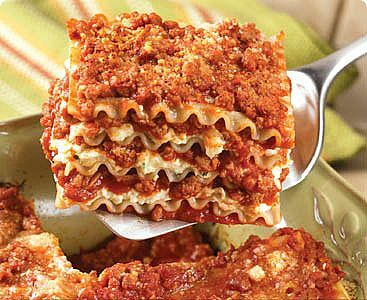 National Lasagna Day! Complete with a quote from Garfield the Cat. The e-mails really cover all the bases. Science, math, history, literature, architecture, sports, entertainment.....and the content is probably for around age 6 and up. The great thing about this subscription is that I sort of don't have to do any work. I don't even have to remember to go to their website because they send me everything I need in the e-mail. Including links to activities and other resources right there. I can't tell you what a time saver this is, number one to have it come to my e-mail box and that they have done all the research as to what happened on This Week in History, but all the other links and information are already in place too. This subscription would meld well with just about any kind of curriculum you are currently using.....even if the curriculum you are using is....gasp.....public school. I can really see it working great with the Charlotte Mason, unschooling mentality or delight directed learning styles, because you could just sort of wander through these e-mails and click on all the stuff that interested you, which would lead to more clicking and discovering....all without a textbook. We use traditional textbook learning for most subjects, but I am using this as a "fun" supplement. Usually, I will just have them sit down and take a look at the e-mail and see what interests them and sometimes I direct them to a specific part I think they will find interesting. Quite honestly, I am the one that is probably learning in more of the unschooling/delight directed learning style, because I can't seem to help clicking on the stuff I find interesting as I scroll through the e-mail. I guess you are never too old for delight directed learning.....or, maybe, somehow it is more acceptable when you are older. You can also search through their archives for specific dates or events. I think I will search each of the kid's birthdays and see what sorts of things have happened on those dates throughout the years. The This Week in History subscription costs $9.99 per month. You can access the information on their website or you can wait for the weekly e-mails. I preferred getting the weekly e-mails so I didn't have to remember to go check out their site. See what others on the TOS Review Crew thought of This Week in History. Disclaimer: I recieved a year long subscription for This Week In History in exchange for an honest review of their product.